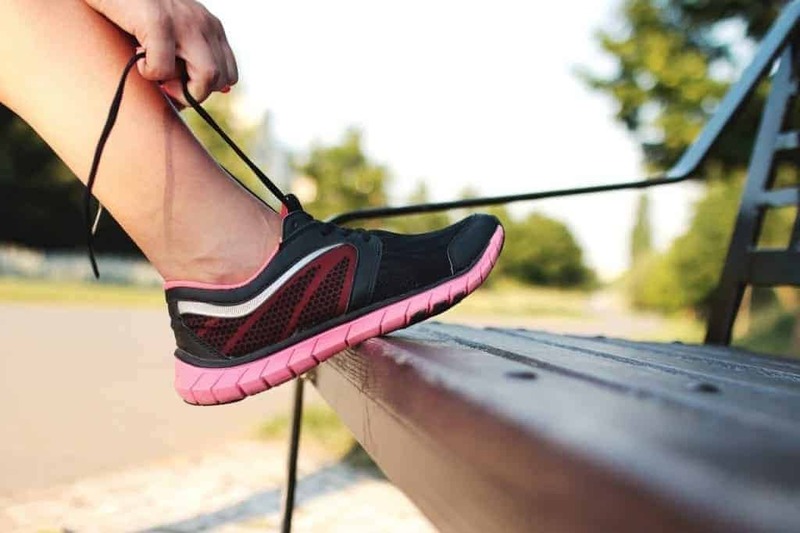 If you are an avid runner, you know of the many dangers surrounding foot injuries and pains. These injuries often develop when proper care is not asserted or the proper shoe is not utilized. 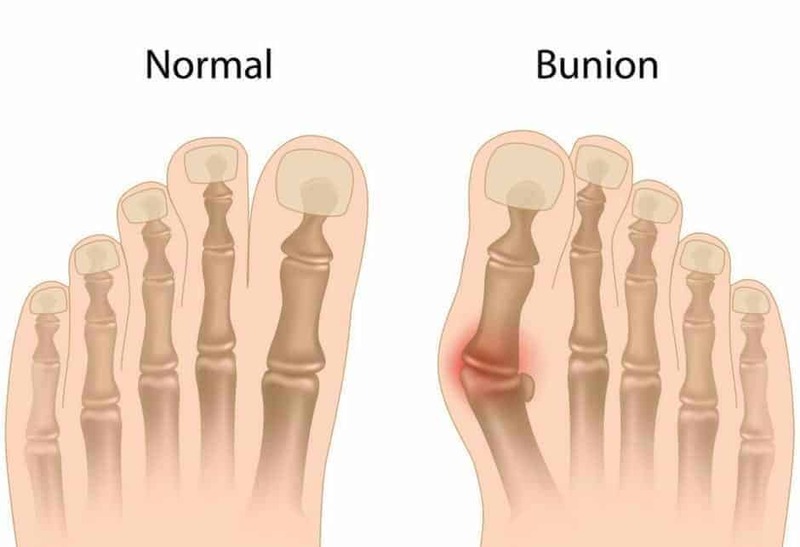 One common issue people have when running is the development of bunions. This is caused by the strides you take or the running form you have developed. Straying away from the form you have developed is difficult, but thankfully there are shoe options that can better work to align your feet and keep excessive pronation away from the structure of the leg. Below is an in-depth review of elements you should look for when selecting a shoe for bunions. Selected products are also reviewed to give you a better understanding of the devices at work within the different shoe options on the market. The first shoe comes from a company that is steadily building their shoe empire. The Gemini 2 running shoe takes a twist on the first model, adding outer shell protection materials. The outer shell is lined with a synthetic and mesh combination, created for strong protection against the elements. This shoe features the proper mid-rise for bunions, with a small arch taking shape on the undercarriage of the shoe. The front of the shoe does not compromise on space, keeping the toe box relative to shape until one reaches the front tip. The back features a large rise, which makes for the proper support design. This shoe also comes with removable inserts, in which one can upgrade to the proper fitting orthotics. The present inserts are thin, but they carry the same shape throughout, which benefits stability and keeps your footing in the proper shape. Behind the shoe is a heavier rubber material that adds an incredible support feature to the back of the foot. This keeps you upright and helps tailor to your push-offs and ground contact. Sticking with the trail running theme, we introduce the Adidas Rockadia trail runners. This shoe features the ultimate in undercarriage support. Featuring little-extended rubber spikes, this shoe helps to grip all formats of surfacing. This technology extends all the way to the point of the toe, suiting both short strides and extended strides alike. Constructed from textile materials, strong stitching and pleather introductions allow for reduced wear and tear. The mid-rise features the proper hike in positioning, leaving you with a built-up back and a stable front. The toe box of this shoe stays true to form throughout, carrying the spacing element you desire in the toe area. The backing is padded and almost encompasses the entire ankle, introducing stability and holding power for movement. ​Nothing screams strength and stability quite like the New Balance 410 V5 trail runners. This shoe features an undercarriage that adds grooves and grips to increase stability over all surfaces. The undercarriage features a unique design, adding shock absorption measures to the discussion as well. It also hosts that spacing you desire in the middle, allowing for the foot to keep proper shape throughout movements. Made from synthetic and textile materials, these two fuse together and are reinforced through the entirety of the outer shell. Built to take on the elements, this shoe also introduces some incredible comfort and holding measures. A cushioned sole that responds to your movements better helps to keep your footing and stability. The back of the shoe features a thick padding that wraps around the ankle. This shoe is the perfect example of keeping your foot in place and introducing measures to reduce bunions. ASICS introduces strengthened material with practicality in the development of their Gel-Exalt 3 running shoe. This shoe draws from textile and mesh as the main form of material make-up. These two forces combine to protect the foot in an enclosure that reduces harsh elements from seeping through. A spacing makes up the mid-rise area, leaving you with a slight hike in the mid-foot. This helps with distribution measures that directly benefit those who have bunions. These shoes are made in multiple lines of width, allowing you to host that intended upgrade for additional toe box space. The toe box features even distribution in spacing, citing measures the ensure that your toes are not crunched together during your run. The undercarriage draws from a foam base, leaving this shoe as a practical and lightweight option for runners. Sometimes unique design and look are exchanged for functionality, which makes the case for the Fila Capture running shoe. Don't let the plain white coloring and design fool you as this shoe is comprised of 75% leather material. This brings a strong covering to the outer surface and provides you with materials that will stand up to any element. While course of life is the main selling point for this model, it also features a hiked mid-rise for even weight distribution. The undercarriage is comprised of rubberized materials and is rather thick throughout. The backing is stiff, providing little give when pressure is applied. There is also a thick layer of padding that surrounds the ankle, benefiting stability and staying power of the entire foot. It rises to cover the ankle, housing the entire foot within the shoe. The development of bunions is virtually unavoidable. Developing primarily from the course of actions you take when pushing off or coming into contact with the ground, it is difficult to break a mold or routine you have used heavily. Thankfully, there is little pain associated with the development of bunions. The excess pressure and discomforts arise when you are wearing the wrong shoes. Below is an informational video describing the way bunions can affect the foot. The middle of the shoe plays a key role in reducing bunion symptoms. Since the development of bunions occurs in the big toes, it is important to lead support up to these toe joints. The proper form of execution is to arch at the mid-foot area. Doing this keeps the foot stable and straight. It also helps to apply minimal pressures to the side of the foot to keep the toes in the proper form. Since the foot works as one unit, it is important to target portions of it to help assist the entire foot. The mid-rise area also helps take the focus off of the front of the foot and the toes. It is an alignment measure that keeps you stable and works to progress your bunions. The mid-rise should be present but doesn't have to be too pronounced to be effective. This can also be mirrored or mimicked with the use of orthidic insoles, as explained in the video above. The toe box is a second feature that you are going to want to monitor. A good rule of thumb is to bump up the width of your shoes by one letter grade. For example, if you wear a Men's size 10 D (Medium or Regular), switch to a 10 E to give yourself ample room in the toe box. The toe box plays an essential feature in a shoe for bunions, due to the increased space. When bunions develop, the bone of the big toe starts to protrude, jutting upwards or outwards of the foot. This is something that takes time to downsize, leaving you at a disadvantage when sticking to your regular shoe size. While there are special order shoes made specifically for bunions, they do not represent a practical or cheap option for the consumer. The easiest way to upgrade your space is to increase the width. You also want to focus on the shape of the toe box. It has to house your feet completely without pressing the toes together. Many of the major brands feature shoes with a smaller toe box. The toe spacing differs for everyone, but one should avoid a toe box that caves in towards the front of the shoe. To paint a better picture, visualize a women's pointed, high-heel shoe. The front works towards forming a triangular shape, pushing the toes together. In terms of shape, look for options that keep the shoe relatively wide from the mid-rise to the front of the shoe. Almost all shoes are rounded at the tip, which is nothing to heighten worry. The toe box should be able to house all toes comfortably and should let them rest in their natural positions. One of the many cases of pronounced bunions is when continuous pressure is applied to the toes. If you can reduce this pressure, it can better help improvement measures and will be more comfortable for you during your runs. The last region of the shoe that plays a key role in improving bunions is the back of the shoe. A raised backing that features some form of under support is important to the user. The undercarriage benefits when constructed with a shock-absorbent material or a thick pattern of foam-like material. This area can also feature reinforced construction measures that pile on the rubber, building the sole up. The rise is also important to the holding pattern of the foot. If the shoe is raised towards the back, it directly reduces the attention and pressures on the toes. To key areas of focus on the footrest in the middle and back when it comes to bunions. The ample support measure is to reduce the wear and tear on your foot regardless of running technique. 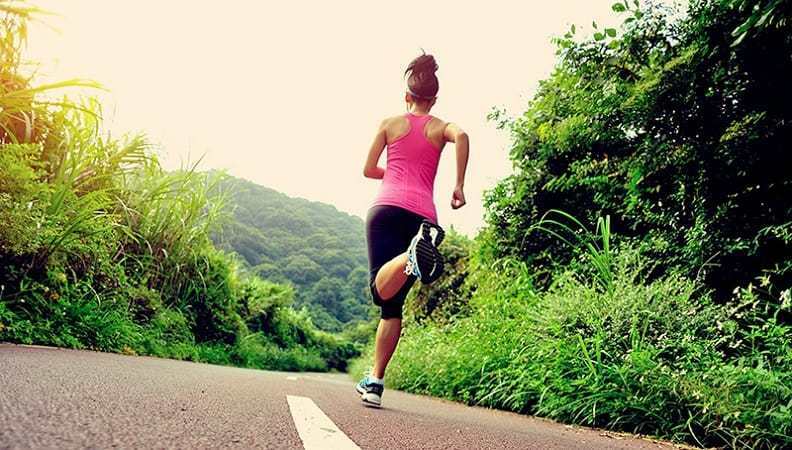 A strong support system will reduce the negative effect that can come from improper techniques or quirky run styles. The idea is not to have you break away from the strides you have developed, rather provide enough support measures to ensure you don't injure yourself when out on the trail. With all things considered, this discussion sways toward the use of the Under Armour Gemini 2. Since bunions affect the entire foot, it is important to find a shoe that works with you on sizing. The Gemini 2 caters to the user by applying a thin area surrounding the ankle, allowing for easy access. This easy access does not compromise on support with the introduction of the reinforced rubber backing. The toe box stays true to shape and distributes evenly all the way to the tip of the shoe. This is an important element for those looking to improve their bunion condition. After diving into some of the market's top options, it is important to keep the discussed factors in mind. The user may benefit from the inclusion of a prescribed insert that better helps the foot sit. If the insert isn't a practical or affordable option, stay firm on the notion of a spaced or hiked mid-rise. This will mimic the function of the insert and will evenly distribute the weight. Competitor Running: Can You Run If You Have Bunions?